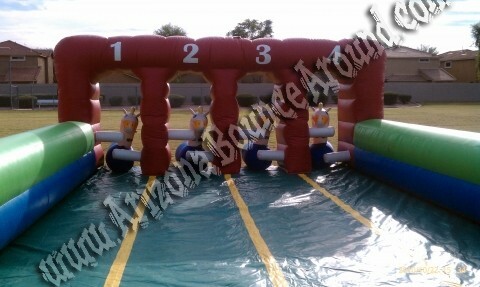 This pony racing game includes the 4 Lane Arizona derby track and your choice of 4 Horses. You may mix or match 4 horse sizes below. Place your bets & get ready for the fun. 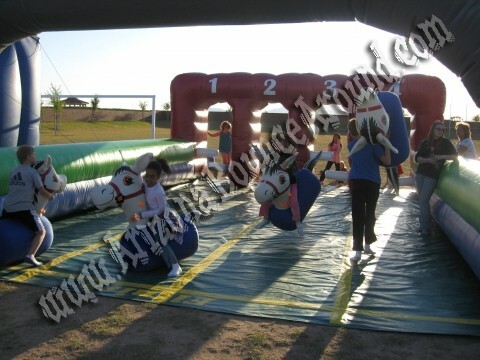 Riders will go hopping out of the gates down this inflatable race track as the crowd cheers their favorite horse to a photo finish. Race co-workers, parents, teachers, teens or small kids over 3 years old. Add our Megaphone or wireless traffic light for greater control of the race. 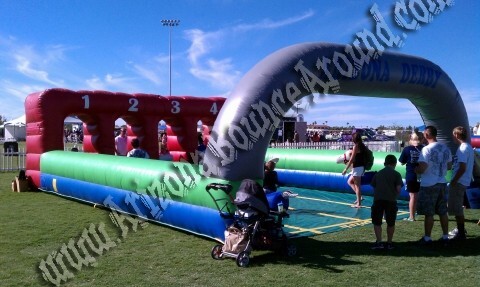 Rent a race track or Pony Hop game for your next party or event. 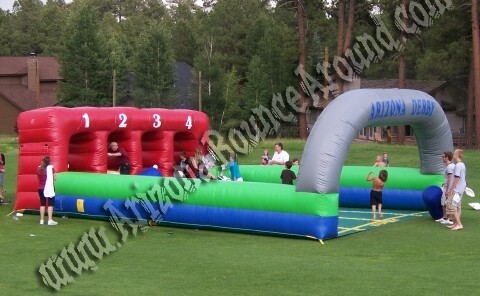 This Arizona Derby rental price includes standard set up. Standard setup is considered a real grass area that we can stake into the ground or indoors. Within 80 feet of sufficient electrical supply. Delivery and removal within included delivery area with no restrictions for delivery, set up or pickup. 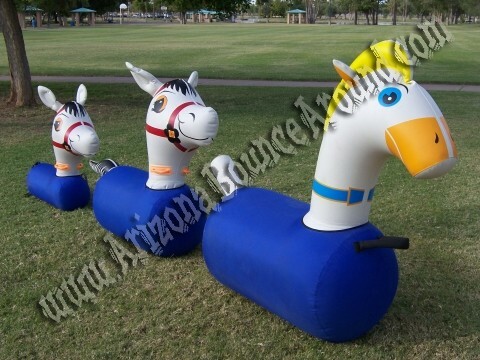 We do not install this inflatable pony race track on dirt or sand but it can be setup on asphalt, concrete or artificial grass by adding sand bags to your order.